The following events are taking place this week in DC and are hosted by our member group The Palestine Center. This panel will examine the role of grassroots movements as a practical approach to fulfilling the shortcomings of political representation, with special attention to protests, hunger strikes, and other forms of resistance seen today. Adam Gallagher will discuss the International Solidarity Movement and our Steering Committee member Phyllis Bennis will concentrate on nonviolent action. 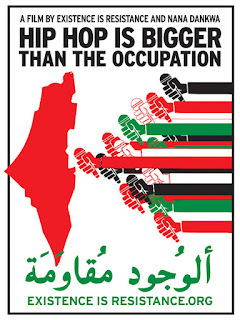 Hip Hop is Bigger than the Occupation is a documentary about a ten day journey of artists traveling through Palestine, teaching and performing nonviolent resistance through the arts. 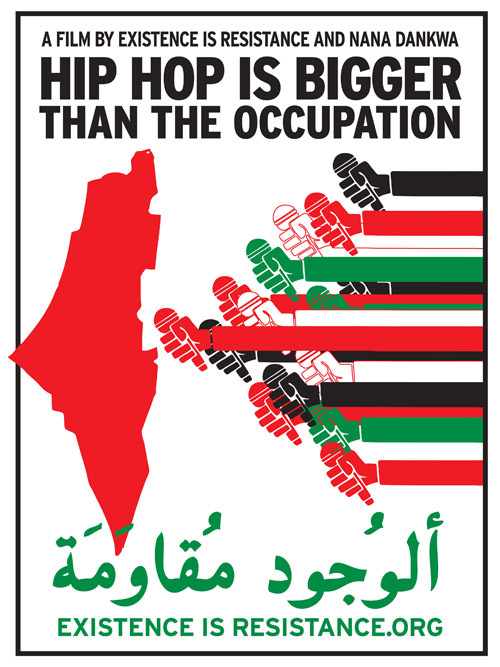 The tour included M1 of Dead Prez, Shadia Mansour, Marcel Cartier, Mazzi of Soul Purpose, DJ Vega Benetton, Lowkey, Jody McIntyre and Trinidad, Brandon and Lavie from the South West Youth Collaborative/University of Hip Hop Chicago. After the screening, there will be a panel discussion and Q&A with some of the artists and activists featured in the film including M1 of Dead Prez, Mazzi Behi of Soul Purpose, Marcel Cartier, Ayman El-Sayed and Harrabic Tubman. This panel examines the effectiveness of the Palestinian strategy for negotiating a peace that complements the national interest, with special attention to a future Palestinian negotiating strategy after its bid for state recognition at the United Nations. Panelists are Khaled Elgindy, a visiting fellow at the Saban Center for Middle East Policy at the Brookings Institute; Leila Hilal, director of the New America Foundation Middle East Task Force; and our National Advocacy Director Josh Ruebner.